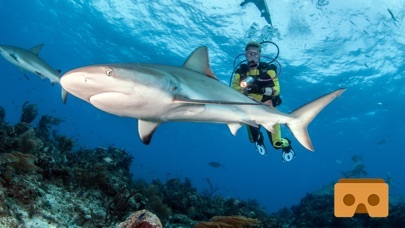 Have you ever wanted to dive with sharks and swim with dolphins? 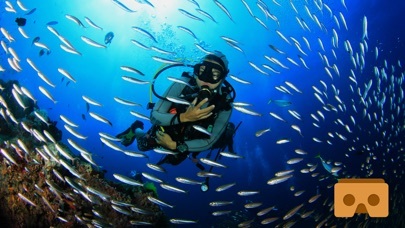 Or how about visit the great depths of the ocean! Well now you can! Immerse yourself like you never have before and get the real thrill of being in a different reality. Features: - VR Scuba Diving Experience - Google Cardboard powered stereoscopic rendering and head tracking for mobile VR. 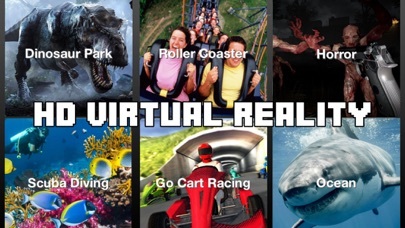 - An amazing underwater environment with dolphins and most exotic fish VR Categories: - Scuba Diving - Sharks - Horror - Rollercoaster - Dinosaurs - Go Carts - Haunted House - And Much More! There is nothing free, it runs ads and tells you to open vr you must pay! You can't use it unless you pay 1.99! All you get for fee is the opportunity to pay to unlock the app. Looks like it might be a cool app but they lost my business with the bait-and-switch. Appears that they're more interested in making money than creating a cool experience that users would pay to play. I PAID $1.99 and it lets you use it one time then the app quits opening!!! Biggest waste and I feel so scammed. My little boy wanted it so bad I got suckered into it! Never again!! !